Many people referred to those 25 license-holders as winners of the “golden ticket,” Margolis says, alluding to Roald Dahl’s Charlie and the Chocolate Factory. But, he adds, “You’re not necessarily going to be Charlie. It’s more like the Hunger Games. You’ve been selected to go into a pretty fraught situation.” Although the cannabis retail real estate story in the rest of Canada has played out somewhat less dramatically than in Ontario, the overnight emergence of this now legal business has yielded as many questions as satisfied customers, and not just because of the supply shortages that have afflicted retailers across the country. 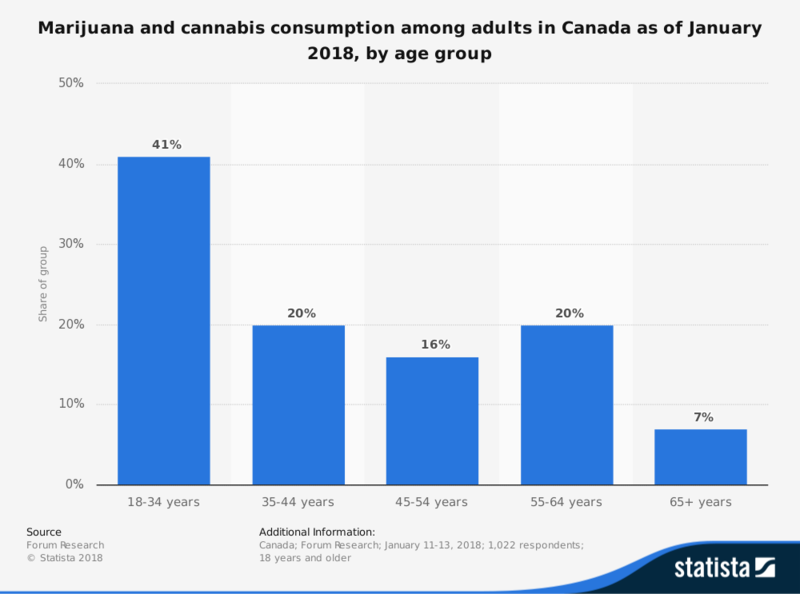 As of early 2019, there were 187 cannabis stores operating in Canada, about a fifth of which are government owned. 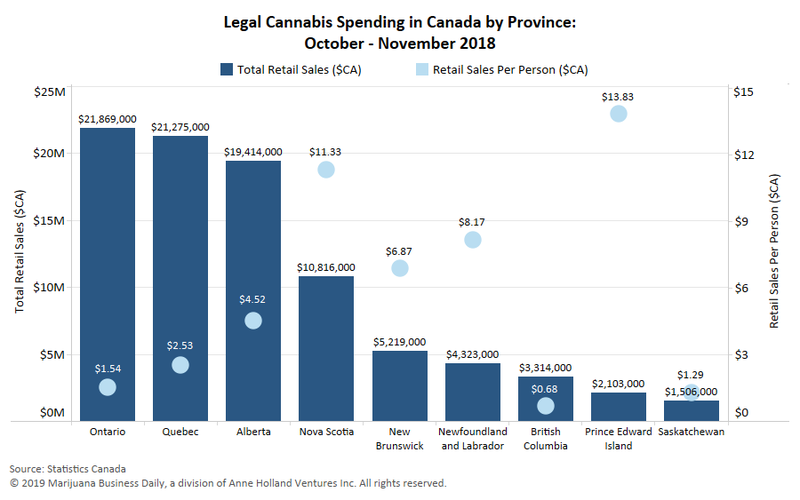 Most cannabis retailing in Québec and Atlantic Canada will be owned and operated by the public sector, whereas in Western Canada the distribution will be primarily private, with a mix in B.C. In many of the latter provinces, landlords, brokers, prospective cannabis retailers and municipalities are grappling with the myriad technical and business questions that have arisen in the wake of the formal legalization last October. These include issues ranging from insurance and lease conditions to tenant mix, security and signage. One Toronto team, whose members work in retail and had designs on a store-front space in Toronto’s hip Little Italy area, signed a lease for $10,000 a month, which was about $4,000 above the normal rate, and also provided a non-refundable $40,000 cancellation fee. They didn’t end up with a license, and are on the hook for that hefty fee. “We’re trying to figure that out right now,” says one member of the group, speaking on the condition that their names not be used. They don’t expect to keep the lease and use the space for other purposes. While Canada beat the U.S. in terms of national legalization legislation, several American jurisdictions were faster off the mark when it came to loosening distribution laws. Some, in fact, offer some clues about the evolution of the retail sector, although Canadian lawyers working in this space caution that the regulations remain very different than ours. At present, 24 states allow legal medical cannabis use, with nine of those, as well as Washington, D.C., permitting recreational uses as well. In Colorado, the introduction of cannabis retailing a few years ago created not just a rush of consumers but a lively sector that has spread to other states with more liberal laws. A November 2018 survey on cannabis retailing conducted by the National Association of Realtors found generally positive responses about the presence of cannabis stores in malls or other retail zones. Three-quarters of respondents from states that have partially legalized cannabis said the proximity of a medical marijuana dispensary didn’t impact nearby property values. Yet 30 per cent of tenants didn’t want to be located near a dispensary, with many citing smell and the risk of theft as their primary concerns. Last summer, Avison Young released a detailed 12-page overview of the considerations facing landlords, everything from guidelines and checklists for complying with regulations from all three orders of government, to advice on developing a request for qualification screen. Location choice is one of the most significant, with specific rules about setback for cannabis retailers from schools, future school sites, and child care facilities. The minimum is 100 metres, but some jurisdictions have upped those numbers. The calculation can be tricky, and there is still a fair amount of ambiguity in terms of where the measurement starts and ends, and how vertical distances are dealt with in the case of cannabis stores that are not located at grade. Blair Scorgie, a senior planner at Sinclair van Nostrand (SvN), an architecture and planning firm in Toronto, says he’s been preparing due diligence and compliance reports for U.S. chains aiming to open in Calgary. In one case, with a space leased on the second floor of a mall, SvN developed a method for measuring “isochronic” distance between the unit’s door and a nearby school: that is, gauging the length that someone would need to walk, as opposed to the distance as crow flies. An equally complicated question has to do with how the cannabis stores mix in with the tenant mix in an enclosed mall or other larger format corporate retail environment. For some landlords and retailers, the prospect of a cannabis retailer raises red flags about dodgy customers and crime. The early experiences of Alberta’s cannabis retailers suggest they will not be noxious neighbours. BLG’s David Wood mentions one Calgary store, Coop Cannabis, which peacefully shares mall space with a yoga studio, a salon and a print shop. Goldman points out that for chains like Cannoe, there will be a strong wellness component to the retail offering. The co-existence question will become more complicated as edibles become more widely available. In some malls, anchor supermarkets have exclusivity clauses on foodstuffs, but it’s not clear whether cannabis-infused snacks or baked goods will be considered a competing product line. But this dynamic can cut both ways if the supermarkets decide to begin selling edibles. “You may have, at one point, two sets of gummies and brownies on the shelves,” says Choice’s Adam Walsh. Indeed, he predicts that in a few years cannabis stores won’t be seen or be treated much differently than liquor stores are today. As such, they’ll have more specialized leases with so-called “use clauses,” as well as clear provisions for security, admission restrictions and the need for specialized insurance, mainly to cover theft. “Insurance is a huge consideration,” Walsh says, adding that the landlord needs to be constantly vigilant that the retailer doesn’t do anything that voids the policy. Yet even as the cannabis retail sector gradually becomes encased in the formalities and structures of commercial real estate, the sector and the rules are still so new that landlords are acutely aware of lingering risks. “As we got into the deals, there was a lot of change required,” says Boyce of CBRE’s early customers. In some jurisdictions, like Ontario, a public authority such as the Alcohol and Gaming Commission (AGCO) will have the final say about whether a license is granted. Members of the public can dispute, as can local retailers that may object to the presence of a cannabis store in the mall or plaza where they’re located. “I don’t think any lease clause will prohibit tenants from having their say in that process,” says Carroll. Finally, there is the viability of the retailers themselves, an unknown that became especially apparent in Ontario and the government’s decision to award the first 25 licenses by lottery. The result, according to some observes, is inherently unstable. For example, under federal and provincial law the winners are not allowed to bring in partners or assign their licenses. Yet even though none, by most assessments, have significant retail experience, they are faced with an extremely tight deadline to come up with operating capital, a location, and a viable retail concept. “Not one has the means or the knowledge to set up a store,” claims Goldman, who wonders why the province didn’t use a merit-based system to award these first licenses. “There were people from all over the world applying for this thing.” He’s far from the only cannabis industry insider who expressed pessimism about Ontario’s prospects and has opted to pursue the retail opportunities in the far more receptive jurisdictions of Western Canada.